Sujan Sarkar, a primary school teacher in West Bengal state in India, was on his way to work when he spotted the family working in a muddy paddy field. Although it was monsoon season, the rain held off and the light was perfect. He first chatted to the family and then took out the camera he nearly always carries with him. 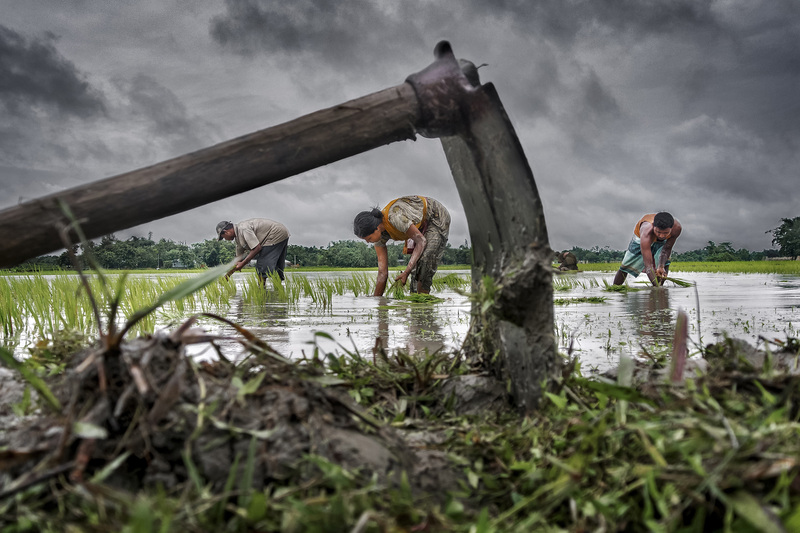 Called "Paddy Cultivation," the picture won Sujan first prize this week in an annual photo contest run by the Consultative Group to Assist the Poor (CGAP), a financial inclusion think tank based at the World Bank. A self-taught photographer, Sujan said in an email to CGAP that he most likes to photograph people, their daily lives, struggles, customs and environmental and social issues. "Life is a struggle for these people," said Sujan. "But working together as a family on their own field, growing the crops and then harvesting that crop, brings a feeling of joy and satisfaction on their faces," added Sujan. The picture, with moody, dark clouds as a backdrop, is framed by a hoe that is anchored in the mud. The panel of judges were unanimous in their choice, with one commenting that the way the color was distributed in the picture made it look like a painting. "The picture brings so much beauty to the act of farming, which others would say is dirty or uncomfortable," said one of the judges. "The hoe, which frames them in the photo, symbolizes their livelihood and how they support themselves as a family," said another. 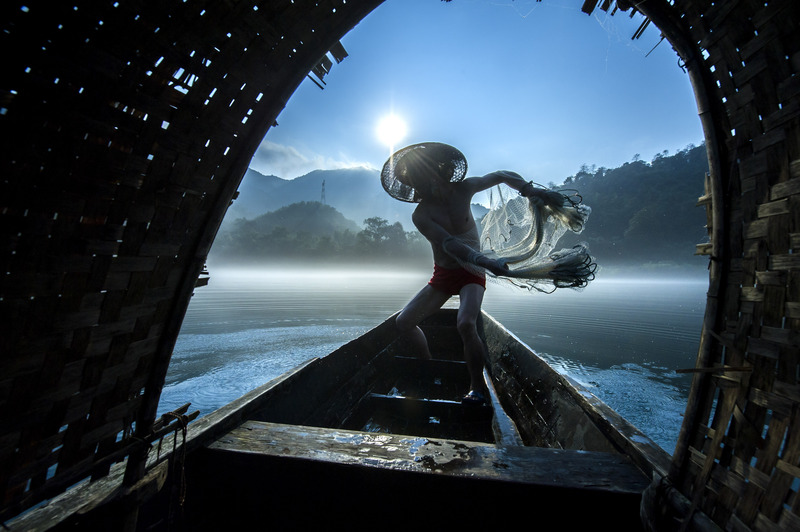 The second place prize went to Liming Cao, of China, for the photo, "Fishing with a Net," pictured below. And the third place prize was awarded to Pranab Basak, of India, for "Hands for Freedom." The pictures were chosen from 3,303 submissions in the annual contest, which is in its 10th year. The goal of the competition is to shine a spotlight on financial inclusion issues and to showcase the challenges and victories of the working poor, depicting their labor in a dignified way. It focuses on four themes that are seen as important in increasing access to financial services to poor people. These four areas are digital financial services and mobile banking, women's use of financial services, microfinance for small business enterprises, and smallholder farmers and their families. Sujan said he did not know whether the family he photographed has access to financial services such as loans, mobile money accounts or savings. To put the challenge of financial inclusion into context, more than two billion people worldwide are estimated to be excluded from the formal financial sector, without the kind of tools that could help them to save, start a business, or cope better with family crises or natural disasters. Scroll through the gallery of photos and see how everyday working people's lives are captured in challenging, poignant and often beautiful settings.